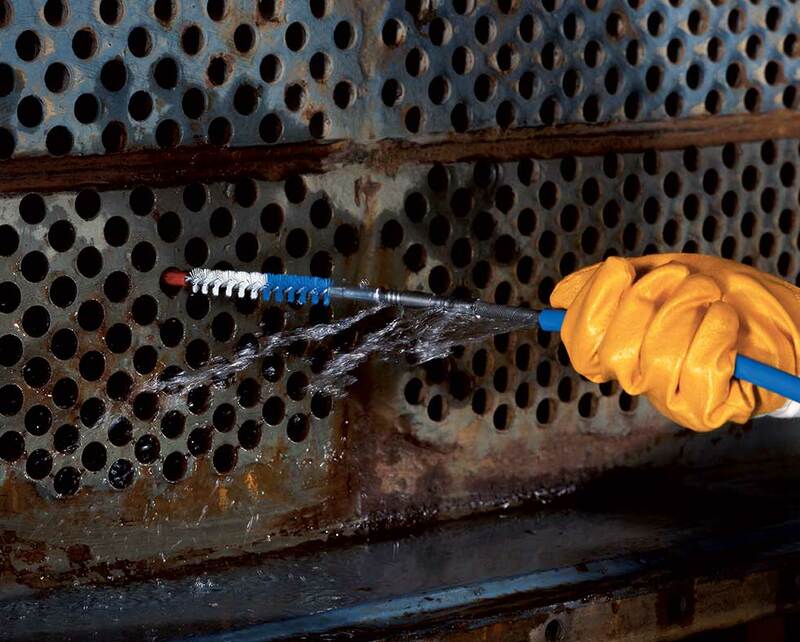 The award-winning RAM PRO® is specifically designed to handle the demanding environment of the commercial tube cleaning contractor. 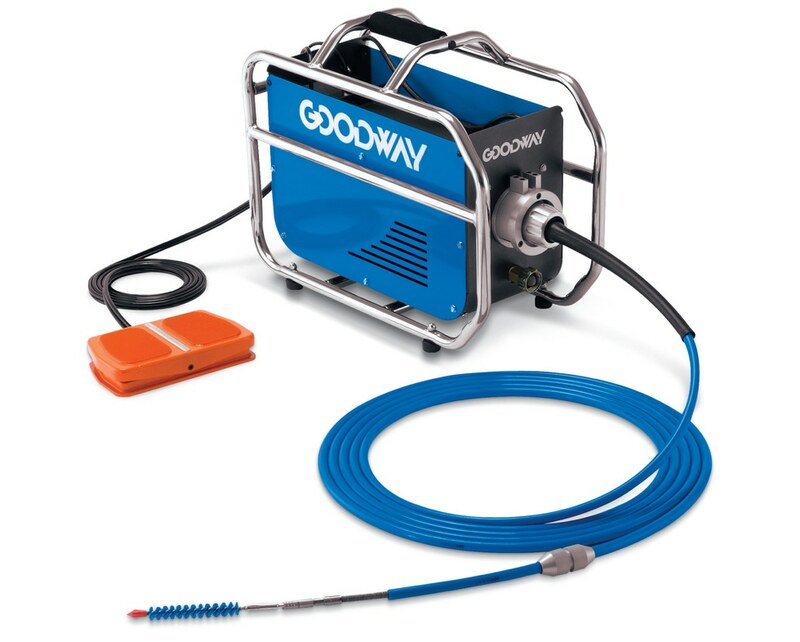 It features a protective "roll bar" to protect against drops and truck 'mishaps," and includes an updated chain drive system and a patented Quick Connect shaft connection system that makes short work of brush and shaft changes. 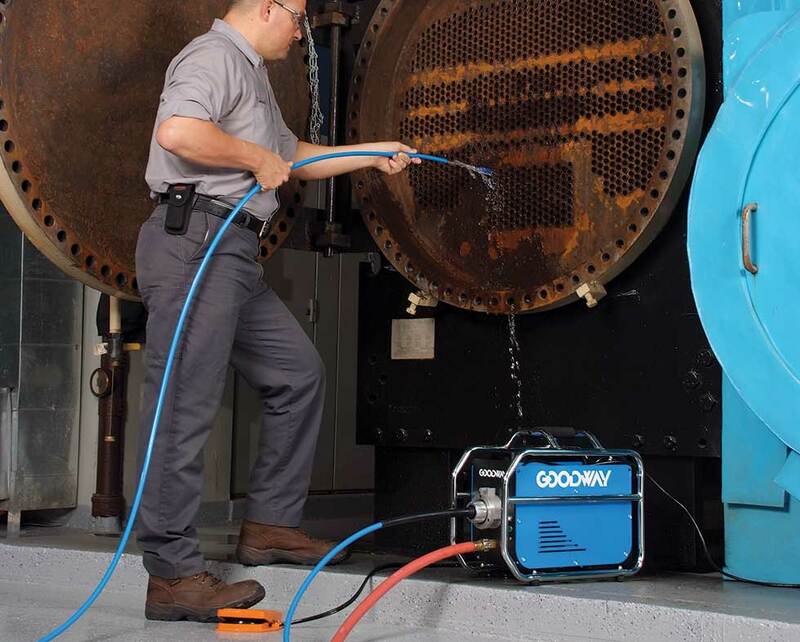 The RAM PRO is designed to work with high-quality Goodway Quick Connect shafts and brushes to provide the ultimate cleaning of straight tubes, in a large variety of chiller brands and models. 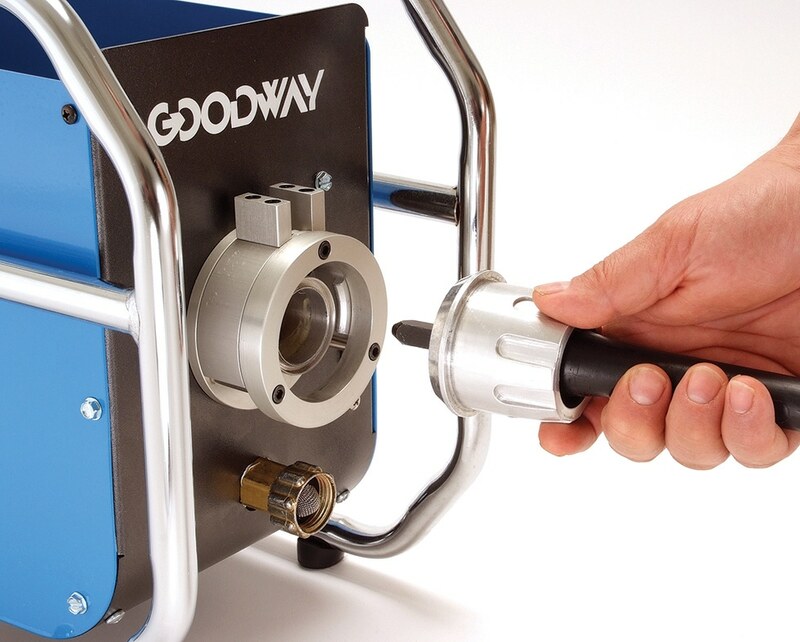 The Goodway RAM PRO uses our patented quick-connect shaft system to speed brush and shaft changes for even faster tube cleaning. RAM PRO Chiller Tube Cleaner, roll cage, Quick Connect shaft manifold and two direction foot switch. Note: Shaft, brushes and other accessories sold separately.